Having a suit you can wear with confidence is an absolute must! I know that confidence must start from within, but the truth of the matter is that this particular article of clothing, perhaps more than anything else, can bring out so many insecurities! If you’re anything like me, the thought of having a “beach body” or getting “swimsuit ready” can sometimes drudge up those feelings of being inadequate. Especially if you’re not where you want to be physically. In spite of that, you should never let that stop you from having fun in the sun! I’m so thankful for my Rad Swim suits. I wore them all summer long and instead of zooming in on all the things I’d like to change, I want to be able to enjoy these moments with my girls. 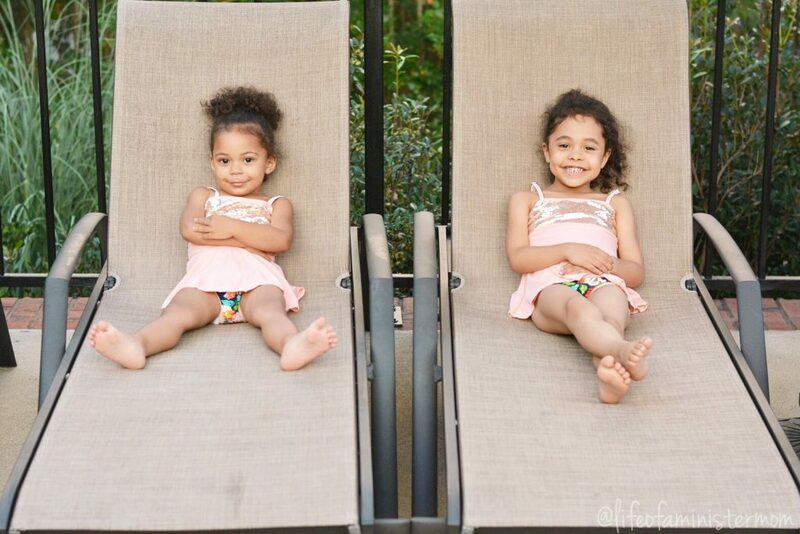 I know they’re just happy to be in the pool with their mama, and nothing else matters to them! 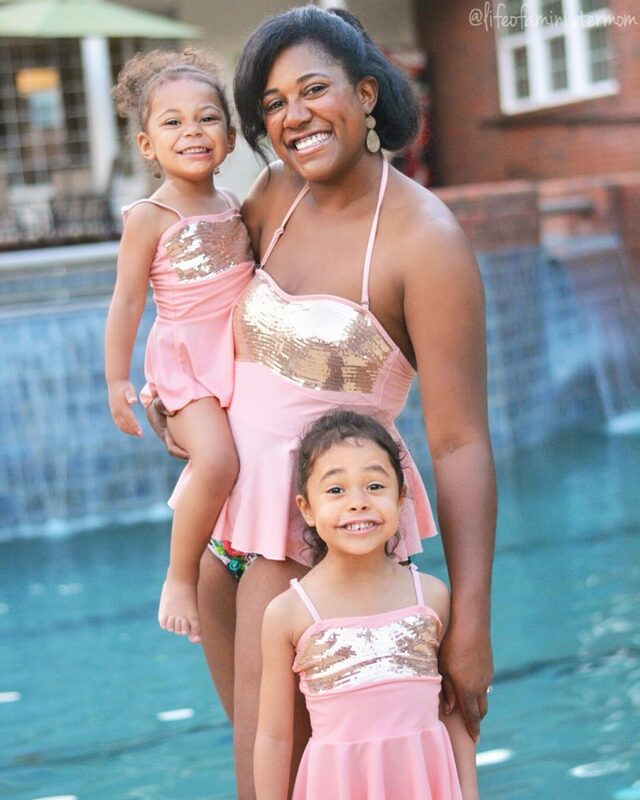 Besides, any suit that allows me to twin with my beautiful daughters is an absolute winner!! My girls have been wearing their Babiators all summer long and they love them! The fact that they haven’t lost them is a testament in itself! Lol. They are cute and fit both of their faces well, but most importantly, my babies eyes are being protected from harmful UV exposure! 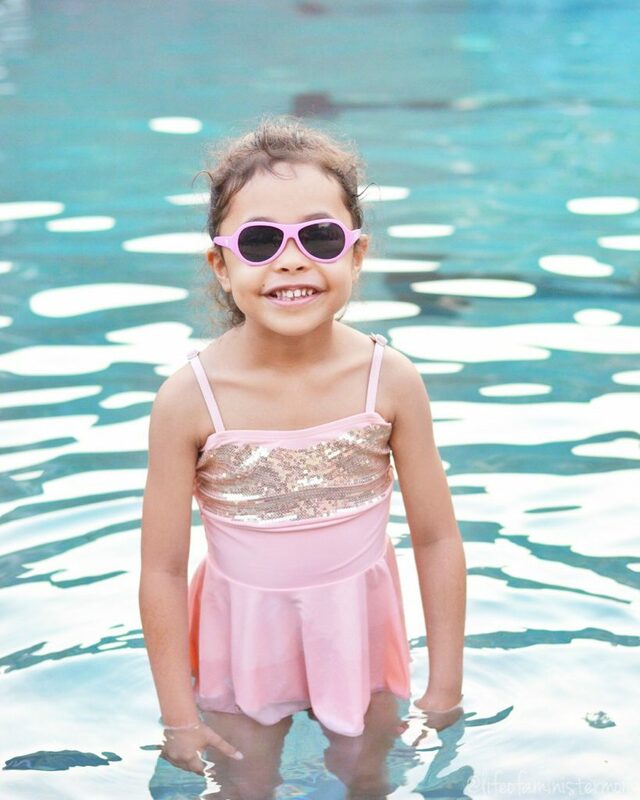 Babiators is all about providing a quality pair of sunglasses for your child, while providing importing sun safety education too! It’s all fun and games until my kids step foot outside the water and start complaining about being wet and cold! Ugh!! Hahaha! Thankfully that has been the least of my worries since we started using their custom towels from Stitches By Natalie! First off all, these are too stinkin’ cute!! 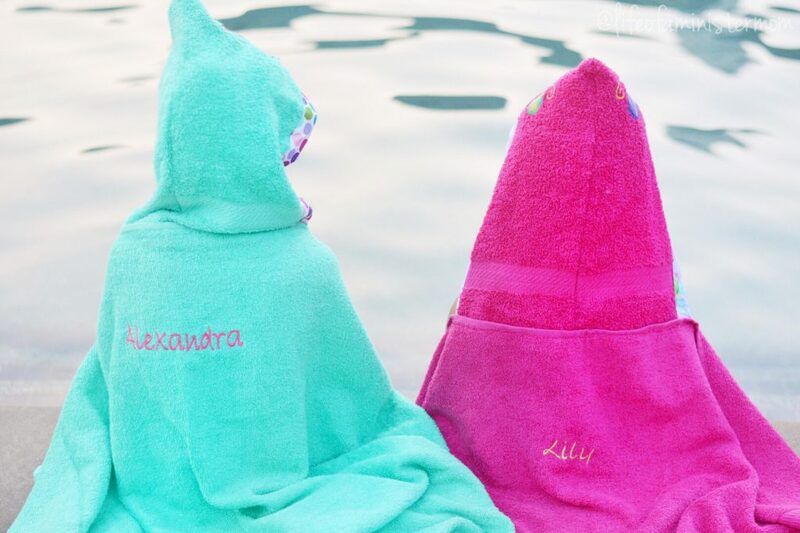 They can be personalized in so many ways and I’ve found that my girls have a different sense of ownership when they know something was made just for them. Aside from being adorable, they are durable, warm, and long enough to actual cover their whole bodies! Not only do we use them poolside, but they are in heavy rotation for bath time too. Let me start by saying that if you go to the pool without a snack, you might as well turn around and go home! LOL!! I’m so serious though!! These little ones don’t want to hear your excuses when their tummies start growling, so to ensure that I stayed in their good graces, I brought Squeaky Pops!! We’ve been chomping on these all natural popsicles all summer! They come in a variety of flavors, and they’re low calorie, dairy and gluten free! I definitely won mom points for these! The fun is doubled when you have someone to enjoy these summer adventures with, and I’m so grateful that these two have each other! Even though they work each other’s nerves sometimes, they truly have the best time when they’re together. They are two peas in a pod, always looking out for each other and having the best time. This alone makes my heart so full and happy! Oh summer, we will miss you, but you’ve been good to us this year! 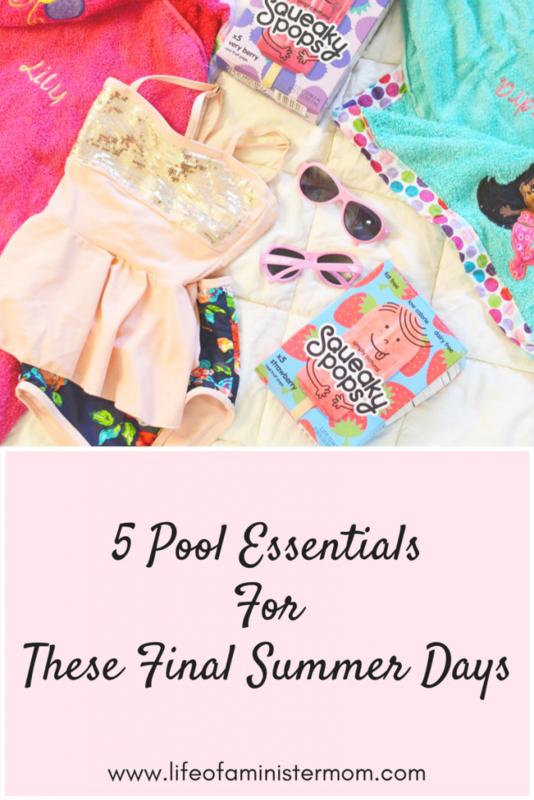 What are some of your pool essentials? 1 Shirt, 3 Ways: Fashion with Pink Blush! The bathing suits are so cute!! I love that they offer matching suits for you and the girls. 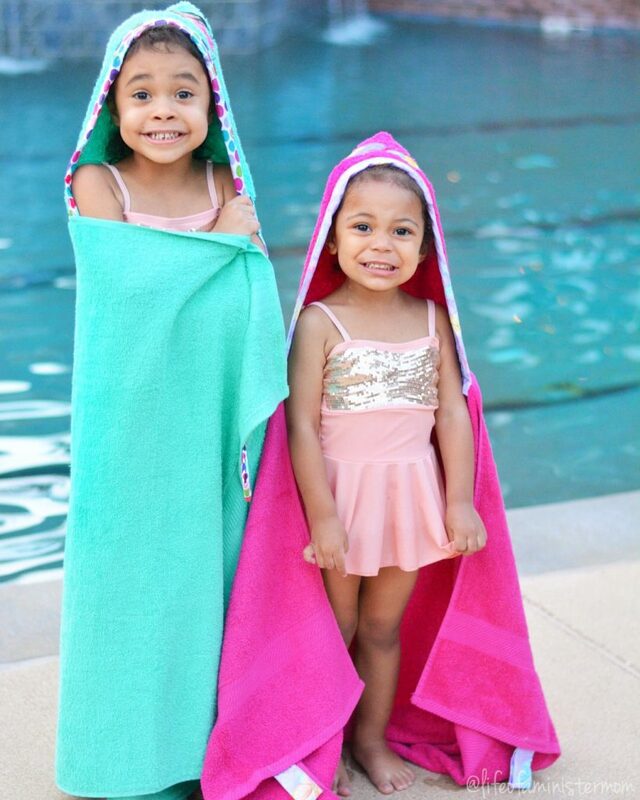 My 4-year-old daughter would love to have a matching swimsuit like me. And I can’t believe it’s time to get ready for Fall!! Thank you!! I love these suits so much and twinning is super fun!! Blessings to you friend, and congrats!!! Your girls are adorable! The swimsuits and towels are awesome! I’m not ready to give up summer yet either! However I too love me some warm apple crisp! Hahaha!! Yes!! I will take my apple crisp in the summer or whenever I can get it!! Oh man, the level of cute in this post is out of this world. Those bathing suits are fabulous! Aw! You all look SO cute in your matching bathing suits! I have never heard of squeaky pops before–I will have to keep my eye out for them! Thank you!! The squeaky pops might only be available on-line for now (not sure), but they are so good!!! Your girls are so cute!! I was thinking of getting my daughter Babiators, but I am afraid she would lose them. We already lost one pair of shades (thankfully they were cheapies). She is only 3. What age would you suggest to try these out? Thank you Carrie! And my youngest was just over 2 and half when we got a pair for she and her older sister. My girls certainly love them. They are so tasty!!! Love those matching suits! That is so cute. Those swim suits are absolutely perfect! I love that you’re all matching! Thank you Virjinia!! It’s so fun twinning with them!! I am totally pining over these matching swimsuits! Obsessed! Thank you so much Lauren!!!! We love them too!!! Aww, those suits are so pretty and you all look so cute together! Thanks Tabitha!! And it’s not cooling down anytime soon here in Georgia!! How cute are you guys in your matching suits?! They are gorgeous on you. I will definitely be buying these popsicles this week. We are in Florida and although we made pumpkin pie this week and have been buying Halloween decor, it is most definitely still summer here! It’s not cooling down anytime soon!! Thanks Kristen!! Ya’ll are so cute! 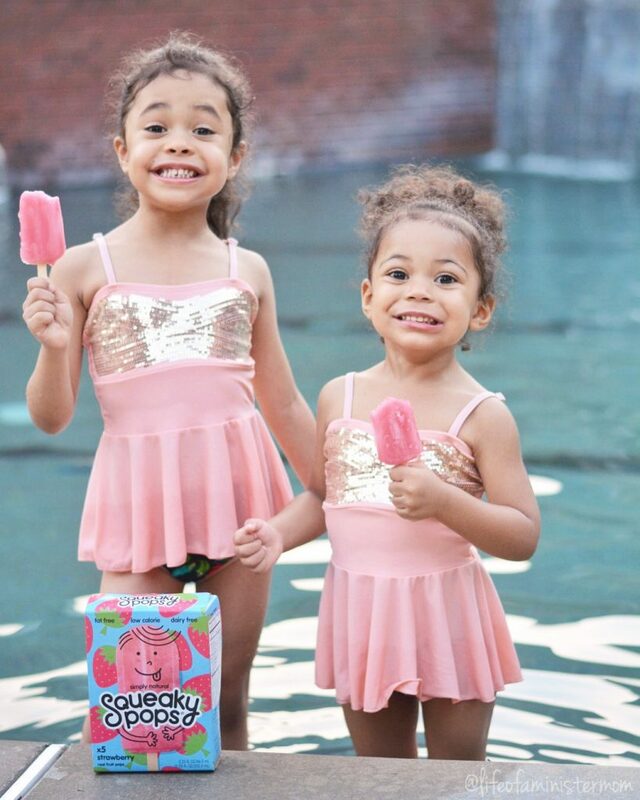 My girls would love those pops and I’m pretty sure we need those swimsuits. You really do!! These suits are the best!!! Those swimsuits are adorable! Love the matching! And those pops look so good! Thanks Kristin!!! And the Squeaky Pops are delicious!!! 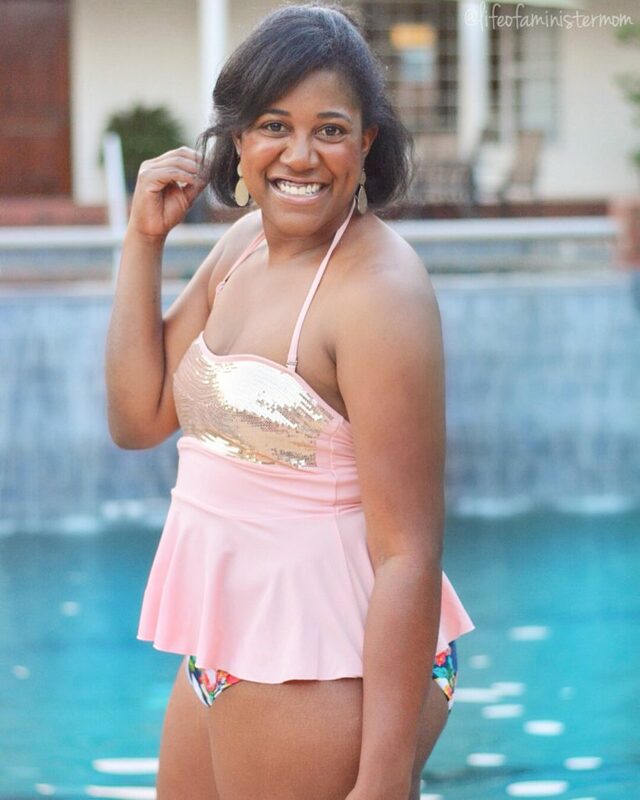 Your swim suit is too cute!! I want to get a new one soon I can’t believe how quickly this year is going! It’s seriously flying by!! These swimsuits are the best!! Those swimsuits are adorable!! And we love squeaky pops!